For those applications where being seen is of the utmost importance, MCR Safety's Luminator™ Series offers you a variety of high visibility garments made in different colors and different options of reflective material. 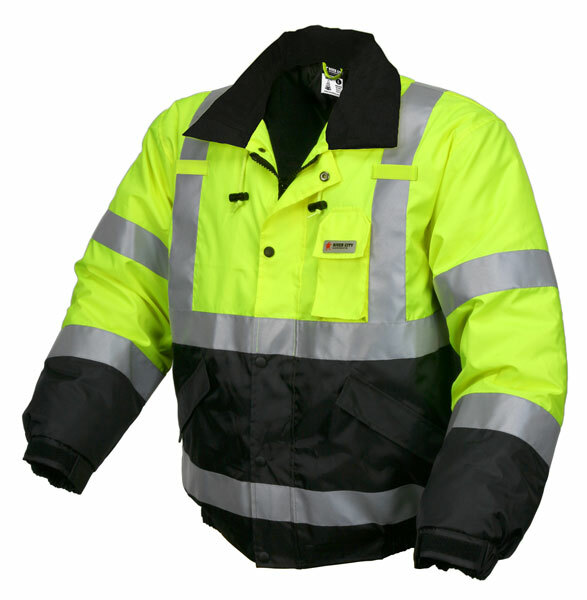 The BBCL3L is an insulated high visibility bomber jacket that meets or exceeds ANSI/ISEA Class 3 high visibility standards. Keeps wearer warmer in cold temperatures. This jacket is black in high wear areas to hide dirty discoloration. It features a zipper front closure, silver reflective stripes, cape ventilated back with D-Ring Acccess and 2 outer zip up pockets. Other features include a hide away hood, hybrid elastic/hook and loop wrist closures,and 1 cell phone pocket on chest.